When we started the group we needed a focus for our fundraising. 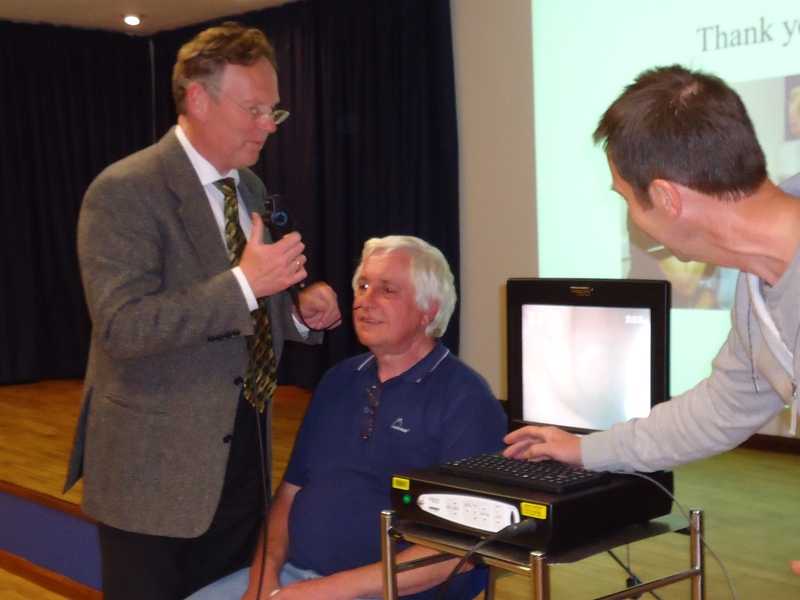 We asked Mr Hilger, consultant Head and Neck Surgeon, what would be at the top of his wish list regarding equipment that could help his patients? 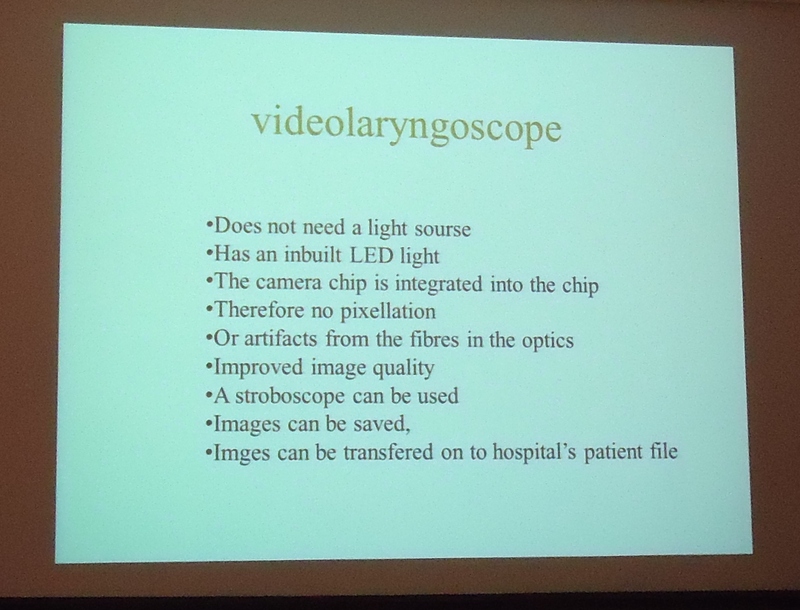 He told us a new state of the art videolaryngoscope would be his dream but they are very expensive. Not to be deterred, the group set about raising funds. Fun runs, Rotary club talks, raffles and music festivals were just some of the events we organised or took part in. It was certainly slow going despite the generosity of our many sponsors. However, last year Mr Hilger started trialling one or two different models and finally selected one that he decided was appropriate for his needs. 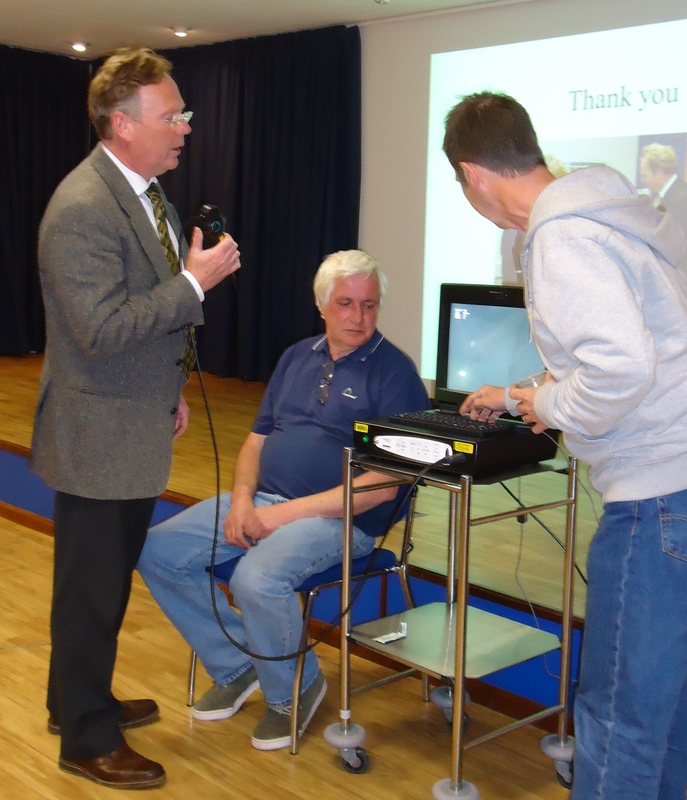 The cost of this videoscope was a staggering £44,000! 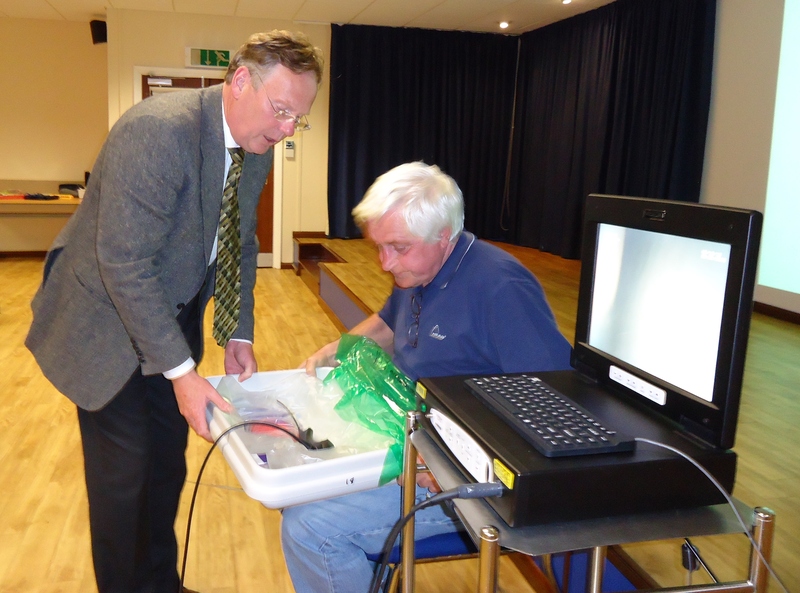 Although we had raised several thousand pounds towards the project we still needed a whole lot more. 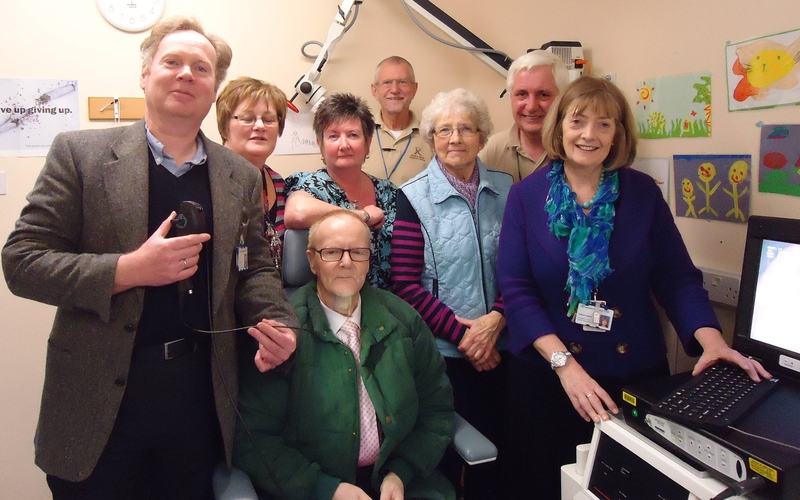 There are several charitable funds in Ipswich hospital and we asked them for their help in making up the difference. The Jean Burgess legacy, Ipswich hospital charitable fund and the ENT department charitable fund all contributed significant amounts to the final figure. 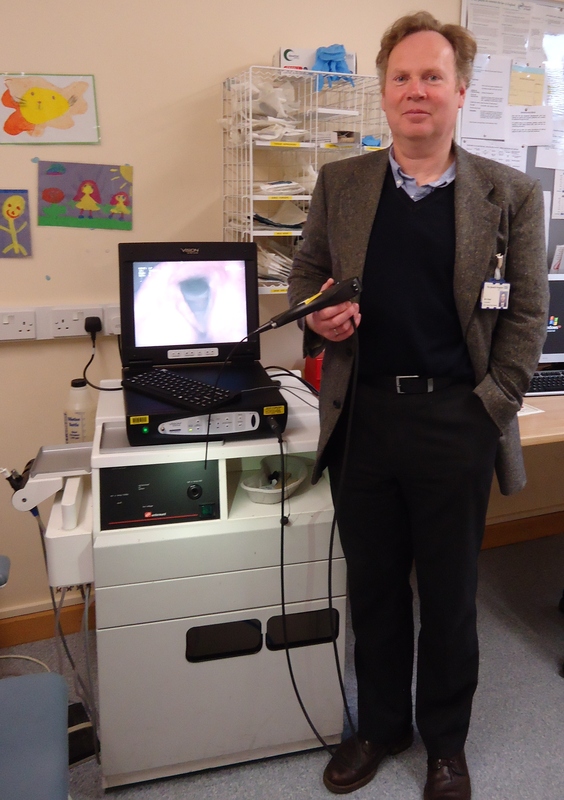 Ipswich Head and Neck Cancer Support Group would like to thank everyone who contributed to the videolaryngoscope fund we could never have got there without you. Special mention must be made to Alan Bateman, Steve Spraggett, Amanda Ford and Linda Milton, their experience and enthusiasm for the project is much appreciated. 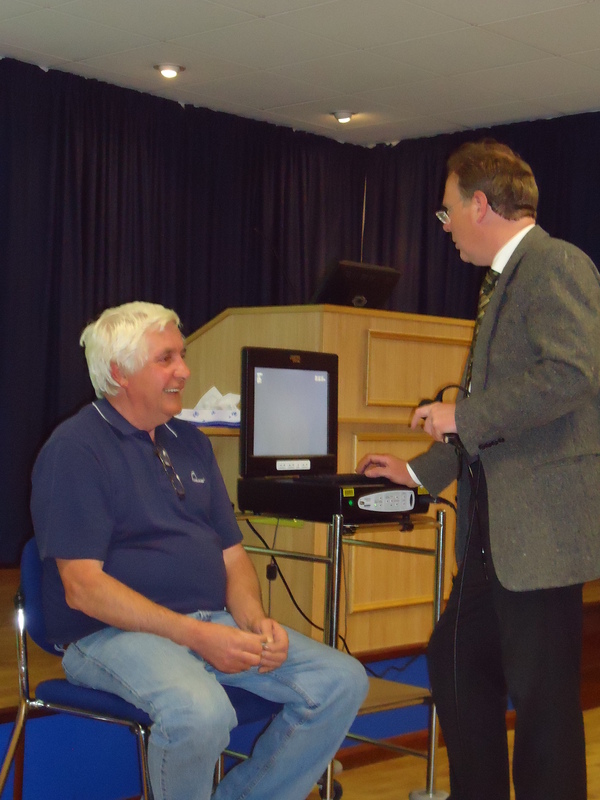 We had a fascinating talk and demonstration at one of our support group meetings by Mr Hilger of the new scope. 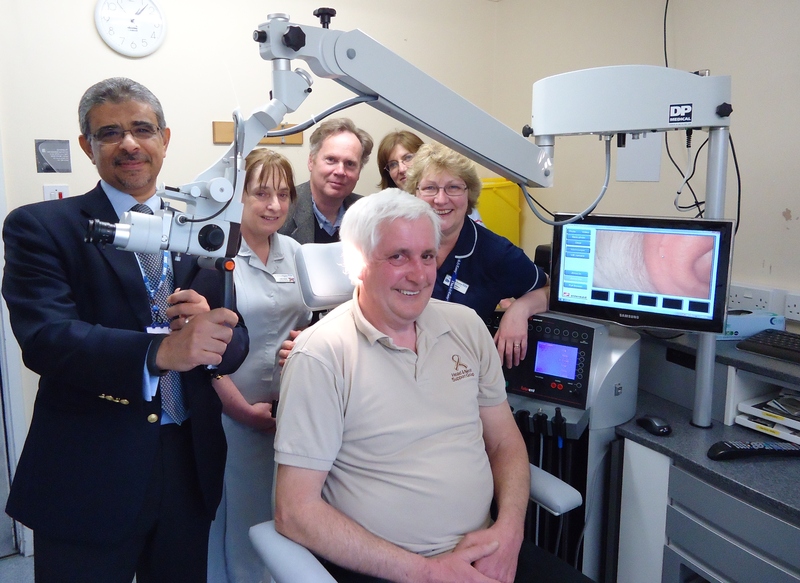 We started the fundraising ball rolling for he purchase of this vital piece of equipment and it will make a huge difference to the picture quality and comfort of patients. 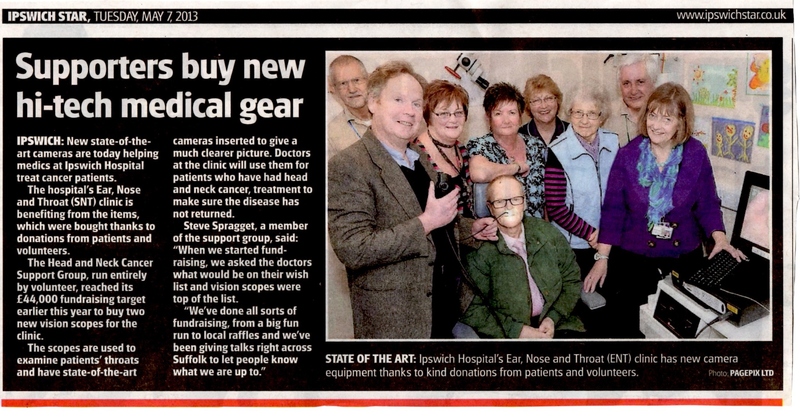 We are very happy as a small support group to have been a part in getting this valuable tool for the hospital. 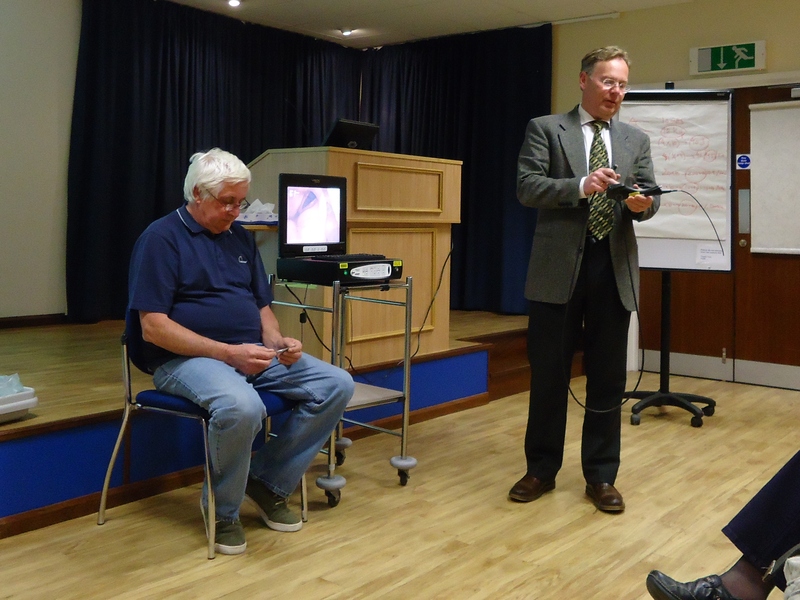 As you look at the pictures below you will see the equipment and Mr Hilger demonstrating it on Steve a group member and former patient. 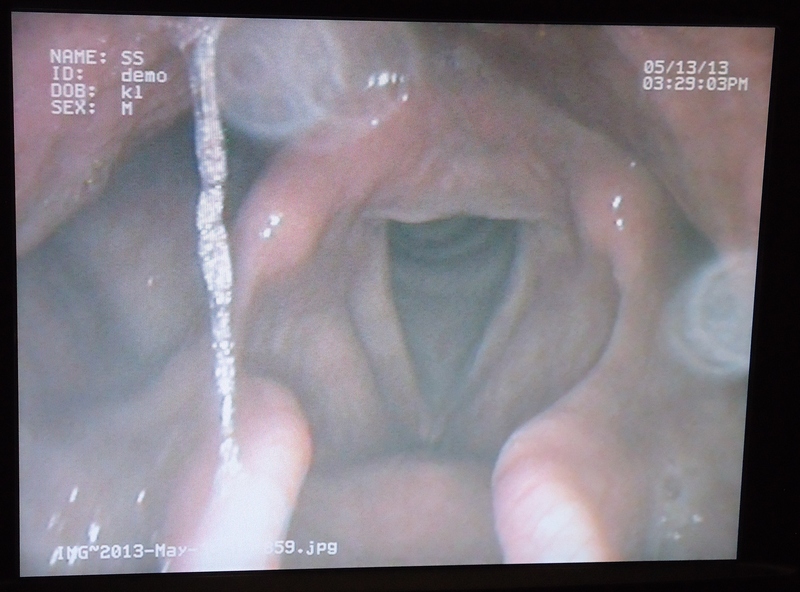 You will see pictures of inside Steve's throat and also a couple of other pictures which Mr Hilger bought along to show us and explain to us how the quality of the pictures will make a big difference in early diagnosis and continued care for patients.